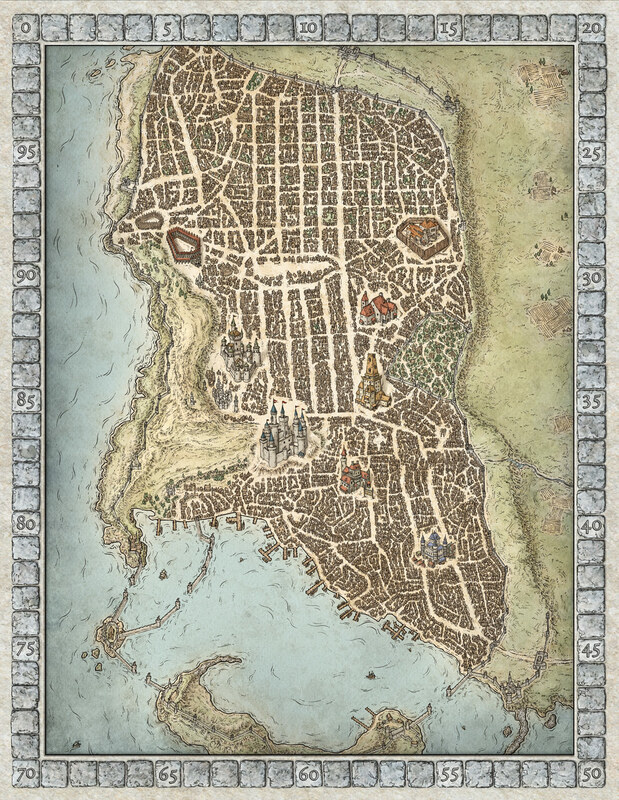 Also known as the City of Splendors or the Crown of the North, Waterdeep is the most important and influential city in the North and perhaps in all Faerun. More than 100,000 people make their home in Waterdeep. The city is the hub of trading from the mineral-rich lands to the north, the merchant kingdoms of Amn and Calimshan to the south, the kingdoms of the Inner Sea to the east, and the sea kingdoms and traders to the west.